As we go headlong into 2018, I believe UK interest rates will stay low, even with the additional 0.25% increase that is expected in the next few months. That rise will add just over £20 to the typical £160,000 tracker mortgage, although with 57.1% of all borrowers on fixed rates, it will probably go undetected by most buy-to-let landlords and homeowners. I forecast that we won’t see any more interest rate rises due to the fragile nature of the British economy and the Brexit challenge. Even though mortgages will remain inexpensive, with retail price inflation outstripping salary rises, it will still very much feel like a heavy weight to some Telford households. Now it’s certain the Telford housing market in 2017 was a little more subdued than 2016 and that will continue into 2018. Property ownership is a medium to long-term investment so looking at that long-term time frame; the average Telford homeowner who bought their property 20 years ago has seen its value rise by more than 223%. This is important, as house prices are a national obsession and tied into the health of the UK economy as a whole. The majority of that historic gain in Telford property values has come from property market growth, although some of that will have been added by homeowners modernising, extending or developing their Telford home. 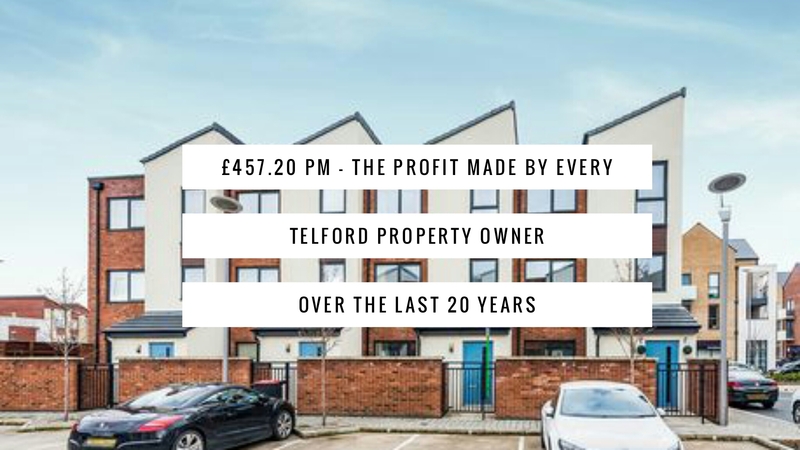 Taking a look at the different property types in Telford and the profit made by each type, it makes interesting reading.. However, I want to put aside all that historic growth and profit and looking forward to what will happen in the future. I want to look at the factors that could affect future Telford (and the Country’s) house price growth/profit; one important factor has to be the building of new homes both locally and in the country as a whole. This has picked up in 2017 with 217,350 homes coming on to the UK housing ladder in the last year (a 15% increase on the previous year’s figures of 189,690. However, Philip Hammond has set a target of 300,000 a year, so still plenty to go! Another factor that will affect property prices is my prediction that the balance of power between Telford buy-to-let landlords and Telford first-time buyers should tip more towards the local first-time buyers in 2018. This means Telford buy-to-let landlords will have to work smarter in the future to continue to make decent returns (profits) from their Telford buy-to-let investment. 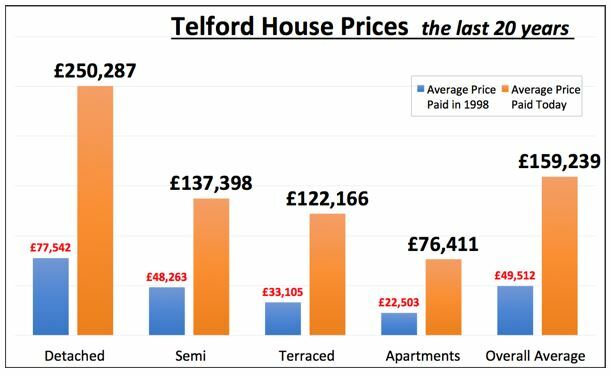 Even with the tempering of house price inflation in Telford in 2017, most Telford buy to let landlords (and homeowners) are still sitting on a copious amount of growth from previous years. The question is, how do you, as a Telford buy to let landlord ensure that continues? Since the 1990’s, making money from investing in buy-to-let property was as easy as falling off a log. Looking forward though, with all the changes in the tax regime and balance of power, making those similar levels of return in the future won’t be as easy. Over the last ten years, I have seen the role of the forward thinking letting agents evolve from a ‘rent collector’ and basic property management to a more holistic role, or as I call it, ‘landlord portfolio strategic leadership’. Thankfully, along with myself, there are a handful of letting agents in Telford whom I would consider exemplary at this landlord portfolio strategy where they can give you a balanced structured overview of your short, medium and long-term goals, in relation to your required return on investment, yield and capital growth requirements. If you would like such advice, speak with your current agent – or whether you are a landlord of ours or not – without any cost or commitment, feel free to drop me a line.